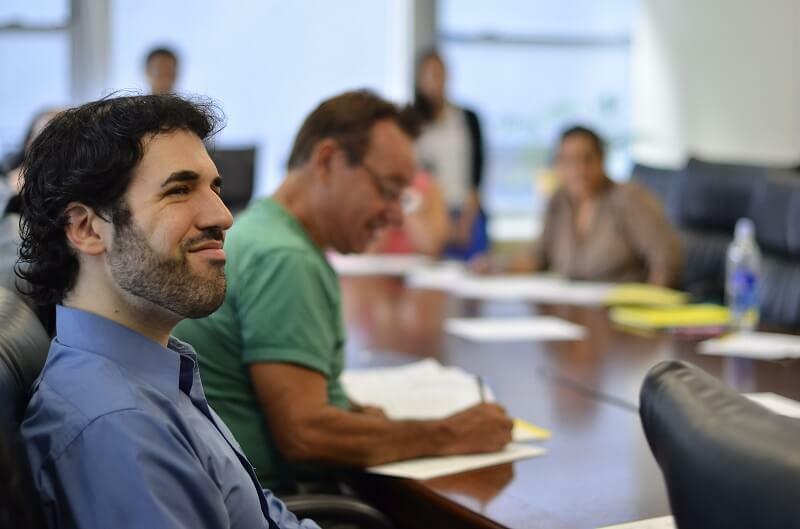 Everything you’ve done has been leading up to this moment…the forms, the study materials, the practice questions and quizzes…all preparing you for your naturalization interview. While it can be a nerve-wracking experience, it can also be the most exciting day of your life- a culmination of months or years of dreams, plans, and hard work. And the reward for all your hard work is becoming a naturalized U.S. citizen. You may be anxious about the test, but it is not as difficult to pass as you might be thinking. The key is to be prepared. When the day of your citizenship interview arrives, you should be ready to discuss some details about American history and the government of the United States. 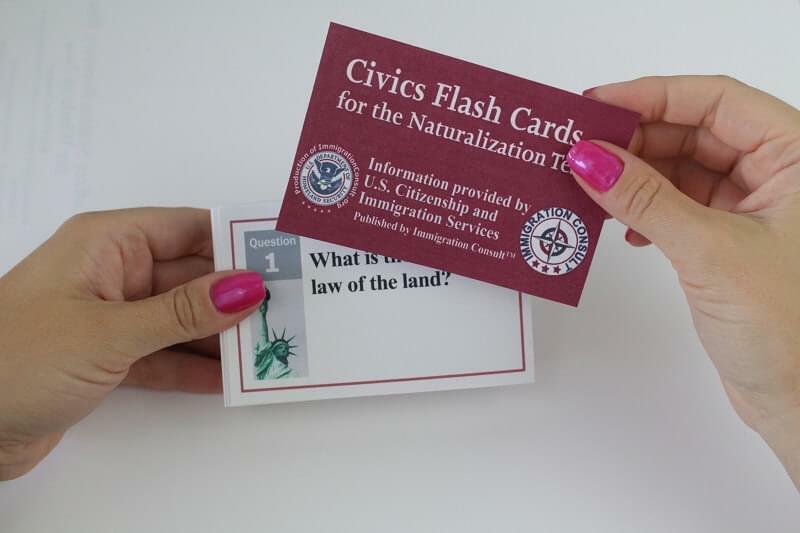 Lots of information about these topics, including sample quizzes and civics flashcards, can be found on our website, as well as at the United States Citizenship and Immigration Services (USCIS) website. During your naturalization interview, the USCIS officer will ask you questions concerning your background and Green Card application. Unless you have previously qualified for a waiver or exemption, you will be required to take an English test and a civics test. The English test is broken down into three portions: reading, writing, and speaking. 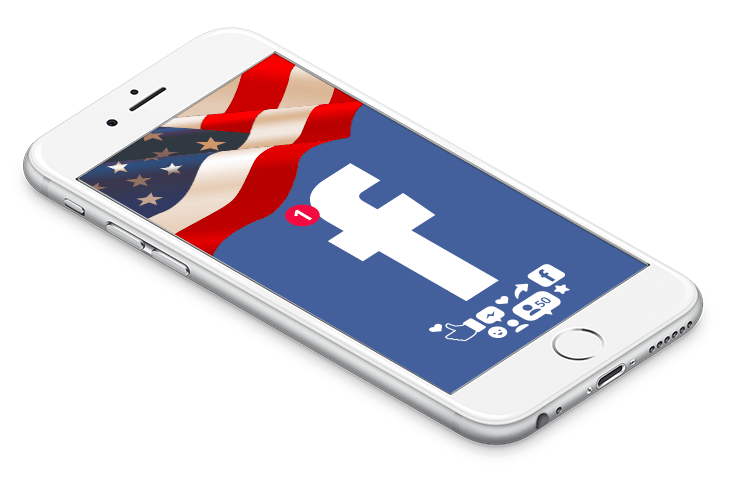 The civics test encompasses significant matters pertaining to American history and government. Exactly What Kinds of Questions Will I be Asked? What is your legal name? Have you ever used an alias or another name? What is the date and place of your birth? Are either one of your parents U.S. citizens? When was your most recent trip abroad? Are you a member of any kind of club, group, or organization? Do you have a criminal record or have you ever served jail time? Do you support the Constitution and Government of the United States? How many U.S. Senators do we have? What is the economic system of the United States? While the practice quiz available on this website provides multiple choice answers, the civics test you will be given at your interview IS NOT multiple choice. The answers to some of the questions may change due to political appointments or elections. While you are studying for your test, be sure to know the current answers to the questions. Additionally, some questions have answers that change depending on which state you live in. Be sure to know the correct answers for the state in which you reside. The USCIS officer will not accept wrong answers. As stated earlier, the English test is broken down into three categories: reading, writing, and speaking. The USCIS officer who conducts your interview will ascertain your ability to speak English on Form N-400, Application for Naturalization. The USCIS officer will spend quite a bit of time reviewing this document. He or she will ask you a simple question, such as “What is your current marital status?” to verify that the information you have given is correct, while he or she also checks for your English-speaking skills. For the reading portion, you will be required to read one of three different sentences correctly. The writing portion of the English test requires you to correctly write one of three different sentences that the USCIS officer will say out loud to you. The statements for the reading and writing portions of the test will always be related to U.S. government or civics topics. Some applicants, due to their age and the length of time they have been a permanent resident, do not need to fulfill the English requirements for naturalization. These applicants can take the civics test in whatever language they choose. Am I Allowed to Bring an Interpreter? Take the interpreter’s oath, fill out the privacy release statement, and provide a copy of his or her government-issued identification when they arrive at the naturalization interview. The USCIS can disqualify an interpreter brought by the applicant, if the officer believes the potential interpreter may somehow compromise the integrity of the interview. If you would like more help studying for the civics test portion of your interview in your native language, study materials are currently available on this website in Russian and Spanish. There is a famous quote that is appropriate for this situation, and most anything in life really…” If you fail to prepare, you are preparing to fail.” It means that when you have a goal, you should also have an organized plan of attack for achieving that goal, otherwise all your work will be a waste of time. 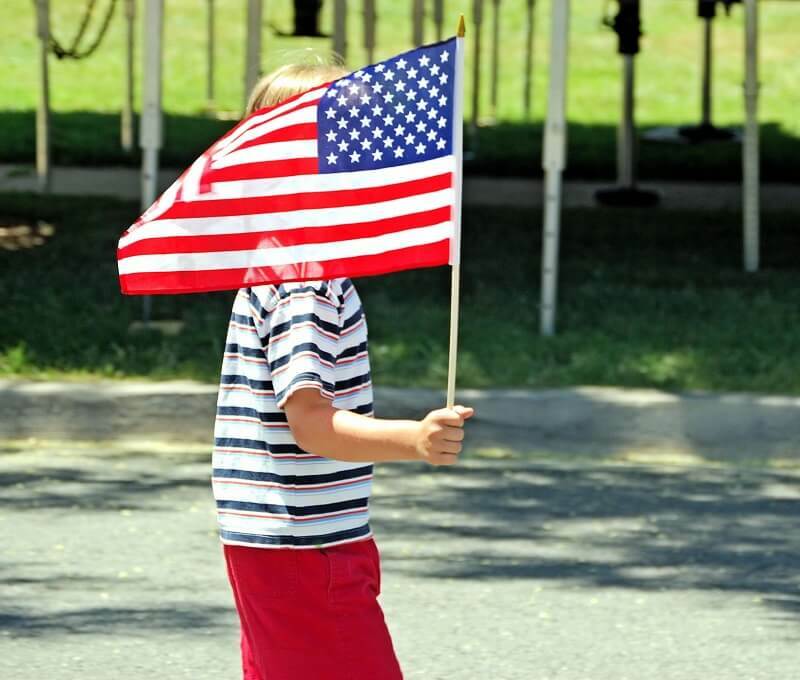 The naturalization process is no different. If you have reached the point in the process where you have a scheduled interview with a USCIS officer, then you have already worked very hard and you owe it to yourself and your family to be as prepared as possible for the interview. Knowing what to expect during the interview can help, as well. The following tips and general guidelines should help things go as smoothly as possible. Arrive on Time at the USCIS Office. When you arrive at the USCIS office building, you must pass through security, just as everyone does when they enter a federal building. Bear in mind there are certain things you are not allowed to take with you to your interview, such as lighters, sharp objects, liquids, and pepper spray. When you arrive at the room where the interviews are conducted, check in and be seated while you wait for your name to be called. Don’t be surprised if you must wait for some time, as USCIS commonly schedules several people for the same time period. You should still plan on arriving at least 30 minutes early, however. You may have trouble parking or finding the right office and you do not want to appear rushed or frazzled when it’s time for your interview. Dress Appropriately. Treat this interview just as you would a job interview. 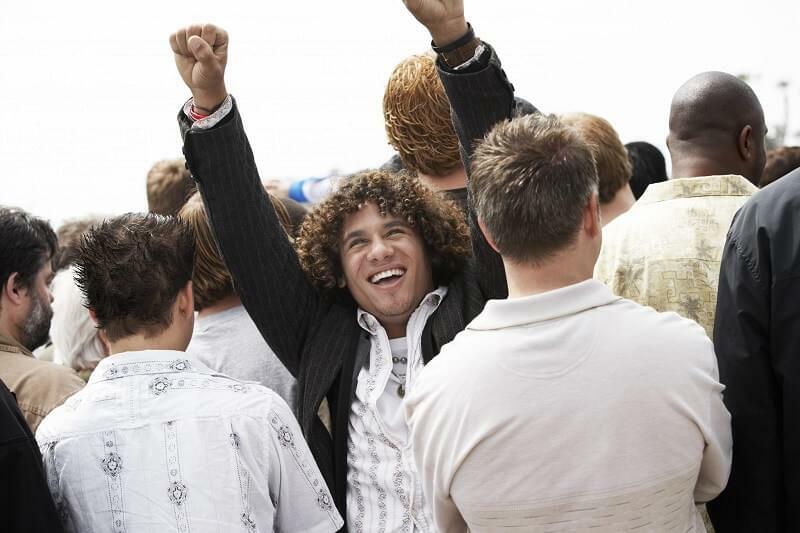 Create a positive first impression and feel confident by dressing professionally. Bring all the necessary papers that prove your standing in the community, such as proof of employment, membership cards to any organizations or groups to which you belong, and your apartment lease. Bring copies of all the pertinent documents in your file and organize everything into a folder or briefcase to complete your professional and prepared look. Listen Carefully and Answer Honestly. Before starting the interview, the USCIS officer will introduce him or herself to you, then describe to you the purpose of the interview, request your identification, and put you under oath. The officer will proceed by asking you about your background, where you reside and for how long. You will be asked to present any evidence you have in support of your case, questioned about your feelings regarding the Constitution, and your eagerness to take the Oath of Allegiance to the United States. If at any point during the interview, you do not understand what the USCIS officer is asking you, do not guess at an answer. Simply ask the officer to repeat him or herself. When you are prepared to answer, speak as slowly as you need to make your response clear. And most importantly, never lie to the USCIS officer- about anything. Be prepared to explain any difference between supporting documents you have and any answers you have given on your application. Do I Need an Attorney Present at My Interview? While you are certainly entitled to have an attorney go to your citizenship interview with you, his or her presence will only be helpful if you have any outstanding legal issues in your case that you are unsure how to deal with. Issues such as an unexpected divorce from the person who helped you obtain your green card, an altercation with the police, spending more time than allowed outside the United States, or a disability that interferes with your ability to learn English are all scenarios where you would need an attorney to speak on your behalf to the USCIS officer. Otherwise, the attorney must sit quietly through the interview without interfering. He or she is not allowed to answer any of the questions for you, and an attorney cannot prevent the USCIS officer from asking you certain questions. If it’s simply that you are feeling nervous about the interview or uncertain of your knowledge of American history, government, or U.S. citizenship questions, you would be better off spending more time studying your American civics and the English language. So, without any legal issues complicating your citizenship application process, the better question is, “Do you want an attorney present at your interview?” If you do, and even if you haven’t had an attorney representing you up to this point, on the day of the interview, the attorney attending with you will present a G-28 to the USCIS. This form tells the interviewing officer that this attorney will now be representing you. If you choose to forego legal representation, you will be asked to sign a document waiving your right of representation. 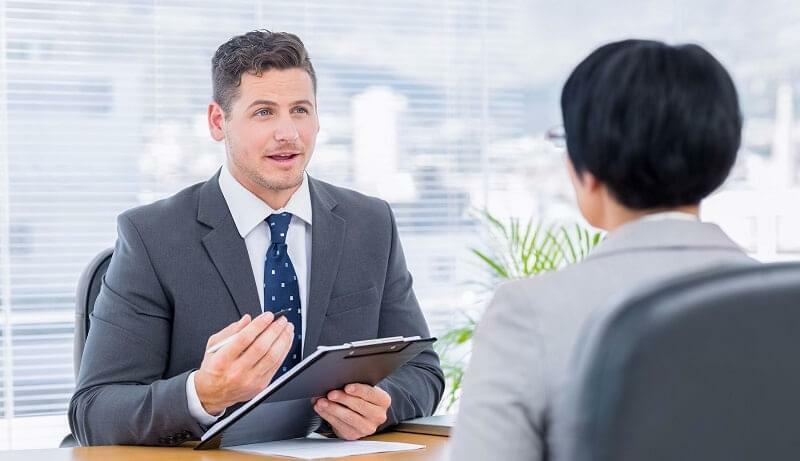 The part of the interview process that is almost impossible to prepare for is the personality of the USCIS officer who conducts your interview. Remember that your attitude will partially set the tone for the interview, and that being prepared and not raising any suspicions will help you and the interviewing officer get off on the right foot. The following is a summary of general guidelines to help your interview go as smoothly as possible. Be prepared with all necessary documents and forms. Have complete answers available for the officer’s questions that are not too confusing or ambiguous. Answer only the question that has been asked. Don’t ramble on or offer any unnecessary information. Expect to answer questions of a personal nature if you are attending a marriage-related interview. Also, you and your spouse may be interviewed separately. Bring your interpreter if you are eligible to have one present. Dress professionally and appropriately. You want to make a good first impression. Stay calm. If you have trouble understanding a question, politely ask the officer to word it differently. If you simply don’t know the answer, it is better to just admit it than to fake your way through. Be on time. Failure to arrive on time, or at all, could cause a long delay in your process. Requesting a new interview time is not looked upon favorably and USCIS officers are difficult to reach for such requests. Hire an attorney if there are any unusual circumstances about your case, or if you just don’t want to go in alone. Make jokes with the USCIS officer, especially about inappropriate subjects such as bigamy, drugs, diseases, or sneaking people into the country. Quarrel with your family members. Plan ahead of time how any disagreements will be handled. Disagree with the USCIS officer. If he or she tells you that any portion of your application is incomplete, ask for clarification and try to fix the oversight with the documents you have with you. Become impatient with the USCIS officer if you feel he or she is asking irrelevant or inappropriate questions. Any questions he or she asks of you are most likely well within their rights to do so. Lie about anything. Hire an attorney if you feel something in your file will be difficult to explain. At the end of the interview, the USCIS officer will take into consideration the results of your tests, your competency during the interview, and all the documents you have provided. If everything goes well, he or she will let you know that you have been approved and give you information, then and there, about your swearing-in ceremony. If he or she is unable to reach a final determination regarding your case, you may be asked to submit further documentation, for instance, additional evidence that you have an authentic and genuine marriage to the person who helped you obtain a green card- that it’s not just a sham. If you are asked to supply this kind of proof, make sure you do so by the deadline given. Upon approval of your citizenship, a time will be arranged for you to attend the swearing-in ceremony where you will take your Oath of Allegiance to the United States and trade in your Green Card for a Certificate of Naturalization. Congratulations, you did it! It is also important to mention that taking the oath and becoming a U.S. citizen does not necessarily prevent you from maintaining citizenship in your country of origin.